This collection blends rich greek yogurt, blueberry and açai fruit extract to cleanse, condition and repair your damaged hair. 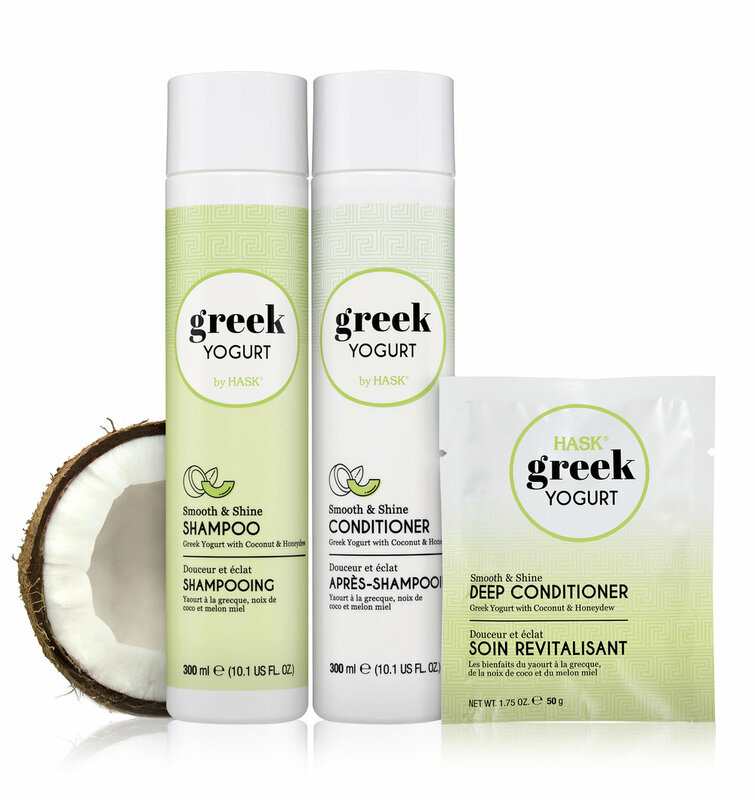 This collection blends rich greek yogurt, coconut and honeydew to help hydrate, prevent frizz and add shine. This collection blends rich greek yogurt, fig and honey to help fight dryness, provide weightless nourishment and a glossy shine. This collection blends rich greek yogurt, pomegranate and cranberry extract to help restore damaged hair and retain color.